Join the unofficial Betty White online fan club! 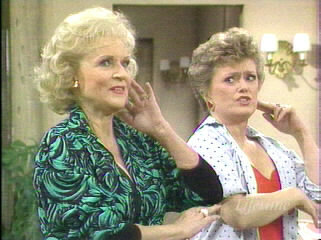 Have you ever wondered if there was a place on the internet where you could chat about the devine Ms.Betty White? Well you can! I have joined up with Yahoo! Clubs to have a Betty White club that is linked with this website. Please make sure you have Yahoo! though, to join. The steps for joining 'America's Sweetheart, Betty White' online fan club is below. 1)Make sure you have Yahoo! 3)In the top right hand corner click 'Join Club'. Join the unofficial fan club now! Click the link below! America's Sweetheart, Betty White is copyright of Lauren Adler and nothing may be copied or reproduced with out the webmaster's permission.